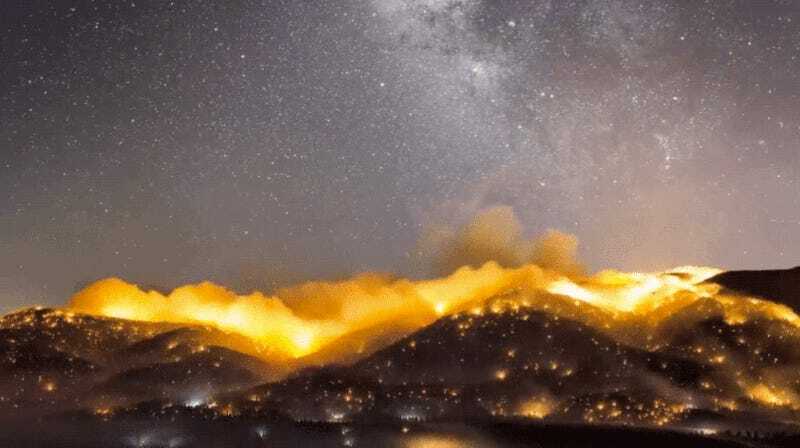 Filmmaker Jeff Frost has documented over two dozen wildfires in California over the past several years. To convey the extent of these blazes, he has put together a timelapse video showing them from a unique—and horrifying—perspective. Frost is currently working on a project he calls Fire Chasers: California on Fire. He’s getting progressively worried about climate change and its effect on California. Last year, wildfires burned ten million acres across the United States, resulting in six billion dollars in damages. It’s proving costlier than any other form of natural disaster.